The recent devastation caused by the phenomenal floods in the city of Madras caused large scale loss of life and property. The entire city was almost submerged by the surging waters and parts of the city, particularly along the watercourses were significantly inundated. To make matters worse nearly 34,000 cu secs of water was released from the Chennambbakam Tank without prior warning as the storage capacity of the tank was reaching the high-water mark. There was a fear of the tank breaching and so water was released and the nearby Puzhal Tank breached leading to flooding in Madipakkam and Pallikaranai. Only people living in high rise buildings were comparatively safe as the ground floor was completely submerged in large swathes of the city. 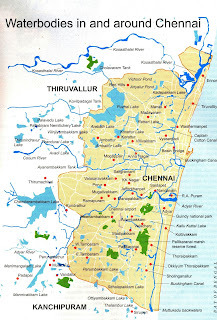 Out of the nearly 3000 water bodies documented in the City of Chennai, more than half have been encroached by builders and the rapid unplanned urbanization of Chennai has led to the decline of the environment and the recent floods had demonstrated that Chennai was living on borrowed time. It must be clear to everyone that had the Buckingham Canal been allowed to function the large scale floods could have been avoided. The rulers of Independent India deliberately neglected the Buckingham Canal because they were enamored of dams which were considered the "temples of modern India". The blind rush toawrds industrialization resulted in the Buckingham canal being neglected and the 786 km canal has all but disappeared. Even in the 2001 Tsunami the vestige of the one kilometer wide canal which stretched from Markanam to Kakinada in the East Godavari District absorbed the shock of the waves and thereby protected part of the coastline. 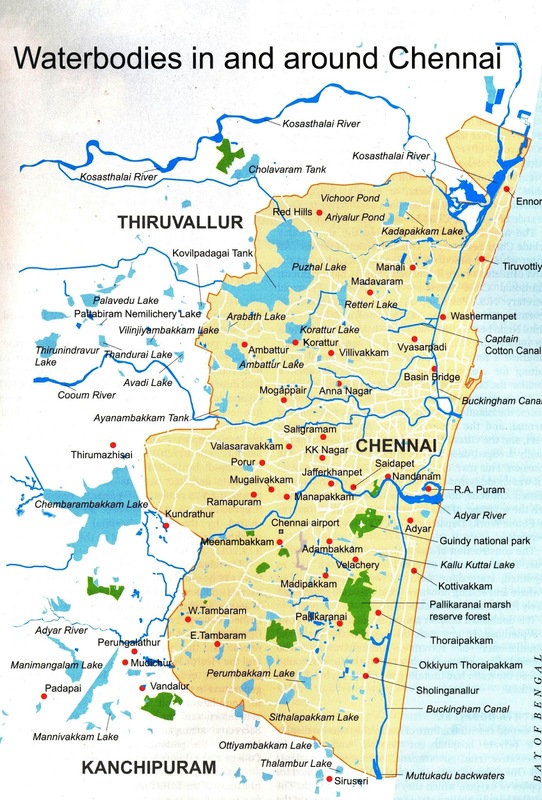 The worst damage was in the areas south of the canal.The history of the canal began in 1817 when a 11 kilomwter canal was constructed from Madras to Ennore. Gradually the canal was extended to Pulicat and during the devastating famine of 1877-79 the canal was constructed as famine relief work. Historical documents show that in the late 19th century rice was sent from Godavari region to Madras along the canal. As the cost of transportation by water was always cheaper, Madras as Chennai was then known, received its grain due to the canal. The canal was a life line for the people of the region. Independence meant that the administrative jurisdiction of the canal was fragmented and the whole project was allowed to decay. The canal was joined to the Adyar River and thereby a natural system of drainage came into existence. Had the Adyar River been dredged and the flow of water kept without major impediment, the damage in the recent floods could have been avoided. The Buckingham Canal took nearly a century of effort and Independent India as a nation run by corrupt people without wisdom allowed this great feat of engineering to decay.